The affair, which showcases more than 40 collections from some of Italy’s most notable designers, including Versace, Armani and Prada, was officially scheduled to run from February 24 until March 1. But then Wintour declared she would only be in attendance on February 26, 27, and 28—the Friday, Saturday and Sunday of the shows—in order, according to the UK’s The Daily Telegraph, to have time to stop in Paris and then make it to the Oscars in L.A. 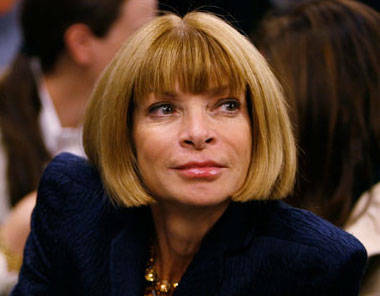 Many of the big name designers asked to move their shows, not wanting to send their collections down the runway when Wintour’s influential eyes wouldn’t witness them first hand.